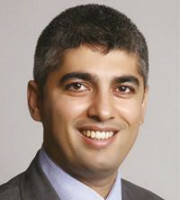 Vikrant Rana is the managing partner of SS Rana & Co, a premier IP law firm in India. In 1996 he graduated from the University of Delhi and enrolled as an advocate with the Delhi Bar Council. He has been an advocate-on-record with the Supreme Court of India since 2006 and a registered patent agent since 1998. He has litigated in Indian courts across all levels, primarily at the Supreme Court of India, as well as in various high courts across the country, the Trademarks Registry, the Patent Office, the IP Appellate Board and the Copyright Board of India. As an experienced IP attorney, he spearheads the firm’s team which is composed of specialists in law, chemical, biotech and electronic sectors. Mr Rana has an in-depth understanding of how economic factors influence businesses. He has provided legal advice to many Fortune 500 companies and some of the world’s most esteemed corporations, focusing on securing and exploiting their IP assets in India as well as globally. Mr Rana is actively involved in raising awareness of IP rights in India and is associated with several government organisations including the Technology Information Forecasting and Assessment Council, the Department of Science and Technology, the Federation of Indian Chambers of Commerce and Industry, the Ministry of Small-Scale Industries, the Confederation of Indian Industry, the WIPO, the Indian Institute of Management Ahmedabad and Banaras Hindu University. He is a frequent speaker and panellist in numerous seminars and conferences. Mr Rana has authored articles in leading law magazines and journals including Managing IP, WIPR and Legal Era. His chapter in A Practical Approach to Intellectual Property Law has been well-received by readers. He is a member of several law associations and forums including INTA, the FICPI, the Association of Professional Art Advisors and AIPPI. Mr Rana has been nominated by esteemed clients for the ILO Client Choice Awards for providing exceptional legal services pertaining to IP law. He was also nominated for the Managing Partner of the Year category by Legal Era and Asian Legal Business’s Southeast Asia Awards. He is acknowledged by several international journals including WTR 1000.